Canadian Club 100 Proof (50.0%): Third sample from #DavinTT2 Canadian Whisky prize basket is a Canadian Club expression you don't see around very often. So far I know the juice in the bottle is the same whisky as in the standard bottling which is six years old but with higher abv. 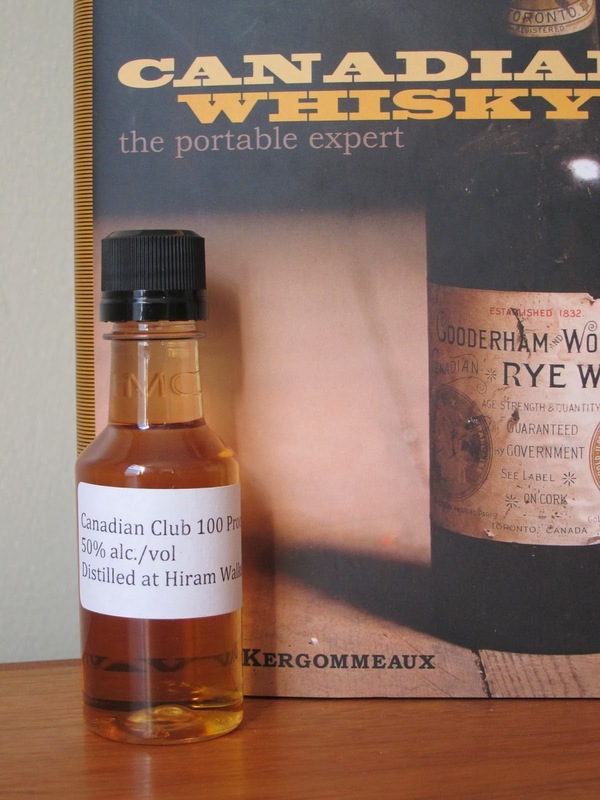 I've never been a fan of the regular Canadian Club but I am looking forward to taste the 100 proof version. Color: Yellow gold. Nose: Acetone, tongue oil and Cinnabons. (and I really don't like Cinnabons...) Lime zest and newly polished front panel of an old car. Adding a few drops of water calmed its harshness a little bit and brought some roasted almonds and beef stew aromas to the nose. Palate: Pretty rough and oily. Rubbing alcohol, grape jelly and cinnamon powder. After allowing alcohol evaporate a few minutes faint almond extract and clove notes evolve. Finish: Longer than I would expect but mostly with alcohol burn at the back of your tongue and cheap, sweet corn syrup. Overall: I am not exactly sure if high proof added any new interesting aromas or flavors on the regular Canadian Club. It definitely has more heat on the tongue but still tastes like a budget Canadian whisky from 90's. I am aware that it is very hard to argue with its price tag under $20 but even then I would probably choose something else within that price category. Long story short: If you are looking for a Canadian Whisky to sip you should probably avoid this one. There are so many others to give a try to.